Philippine Charity Sweepstakes Office (PCSO) board member Sandra Cam dared Senator Antonio Trillanes IV to prove that he is really a “man of honor” and get out of his hideout in the senate office, and face the Court Martial trial in relation to the revolt he lead at Oakwood Hotel and Manila Peninsula. “Magpakalalaki ka! Lubayan mo ang sambayanang Pilipino sa mga kapalpakan mo! Naturi­ngan ka pa namang senador at dating sundalo pero wala kang ginawa kundi ang lumabag sa batas. Lumabas ka sa Senado at harapin mo ang kapalaran mo! (Be a man! Leave the people of the Philippines from your failures! You were elected as a senator and former Philippine soldier but all you did is to defy the laws. Get out of the Senate office and face your fate! )” Sandra to Trillanes. 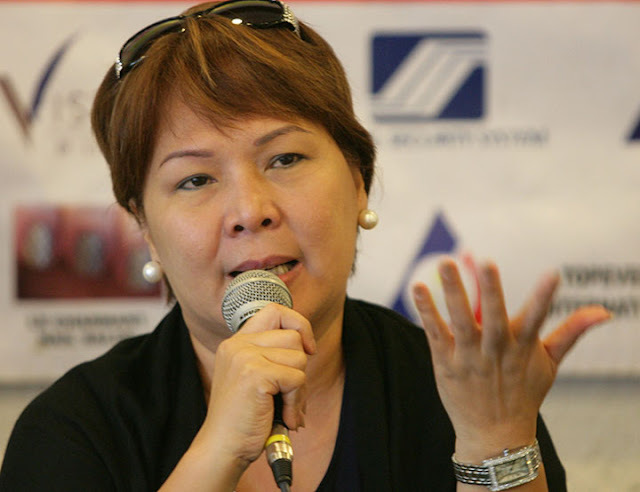 Sandra became known to public as the whistleblower during the Senate investigation in 2005, where she claimed she collected money from jueteng lords and delivered them to then presidential son and former Pampanga Rep. Juan Miguel "Mikey" Arroyo and late Negros Occidental Rep. Ignacio "Iggy" Arroyo, brother of former first gentleman Jose Miguel "Mike" Arroyo. In December 2017, she was appointed by President Rodrigo Duterte as the newest PCSO board member. 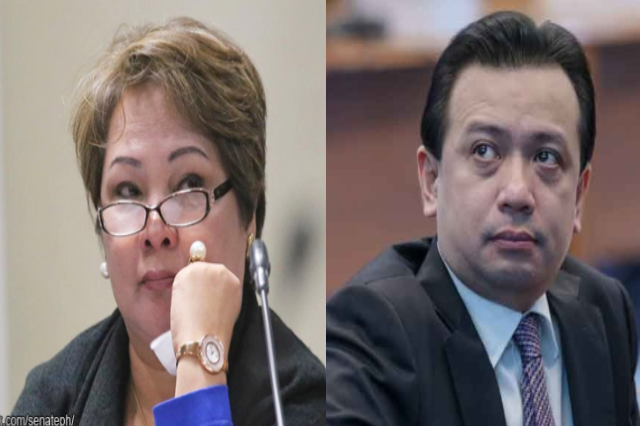 According to Sandra, Trillanes must learn by heart the words of Jesus Christ in John 8:7, “When they kept on questioning him, he straightened up and said to them, ‘Let any one of you who is without sin be the first to throw a stone at her’.”, which can be closely compared to the attack he is doing to his staunch adversary, President Rodrigo Duterte, despite the fact that he also has cases that need to be faced. 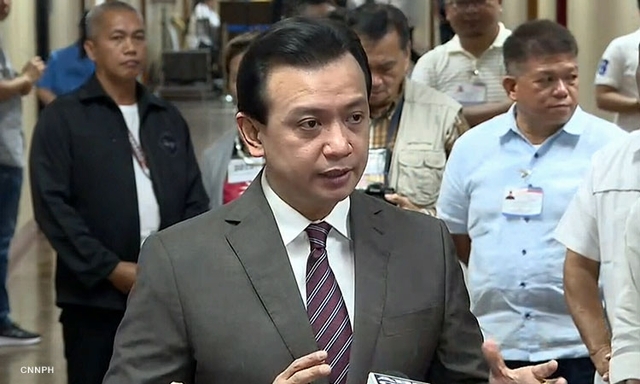 Cam also observed that Sen. Trillanes has been abusing his freedom of expression, defaming the presidents of the Philippines, since Manila Mayor Joseph Ejercito “Erap” Estrada was still the president of the Philippines. “Sen. Trillanes’ practice of freedom of expression highlighted by insults against PRRD for a long time has been tolerated by our beloved President but the presidential patience and tolerance has finally reached its limitations. Sen. Trillanes should not use the media for black propaganda,” said Cam. Sandra just wanted to make Trillanes realize the big picture as a senator, wherein he should be a role model of construction rather than destruction, particularly in abiding the laws. “No one is above the law and that law must be equally applied to everyone without fervor and favor,” Sandra said.